I am totally in love with this dining room from Rue. 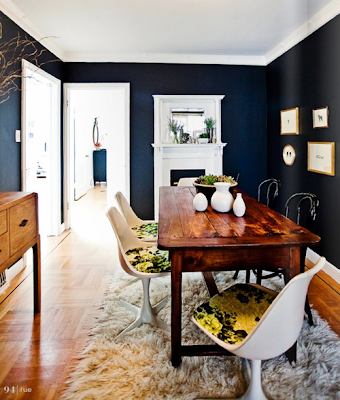 This lovely space belongs to the lovely lady behind sfgirlbybay. Would it be totally offensive if I just invite myself over for dinner? Both the company and the interiors would be delicious.